The nearest airport is Muritala Mohammed International Airport, which is a 22 minutes drive away. Staying at Eed Pension Hotel is always a good time, the hotel is that type, that you enjoy relaxing so much in, that you stay an extra day. The rooms are simple, clean, neat and have a great layout, the hotel also serves nice breakfast, with something delicious for everyone. The reception at the hotel is genuine and nice. Each room at EED Pension Hotel has a standard size bed, a spacious room, sofa, bedding items, air conditioner, a shower and a wardrobe . 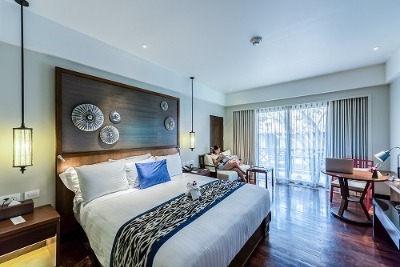 In addition, guests can also enjoy airport shuttle service (additional charges), Ironing service(additional services) , dry cleaning/laundry service(additional charge) on request. EED Pension Hotel is a budget hotel in Isolo, Lagos. Have nice pictures of EED Pension Hotel?